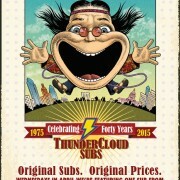 Spotlight on the ThunderCloud Subs crew in New Braunfels. Artists come in many different guises, and we have more than our share of them at ThunderCloud Subs. All of our employees are sandwich artists, but we also employ a slew of other types of artists—musicians, writers, designers, painters, illustrators, photographers, filmmakers… you name it. 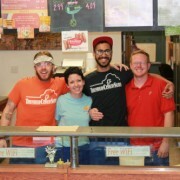 The team at the ThunderCloud store in New Braunfels is one of our most artistic and multi-talented ThunderCrews. Four gifted artists are part of the crew there: Johnny Duncan, Jay Rickard, Heather Jones, and Ria Kolsar. We’re positively ecstatic about Saturday’s grand opening of Emancipet, a low-cost spay/neuter clinic that also offers preventive veterinary services like vaccinations, microchipping, and heartworm meds, and which should help put a dent in Houston’s animal overpopulation problem. 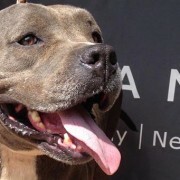 The Houston City Council in March approved $260,000 in funding to bring the Austin-based Emancipet here, and the clinic is celebrating Saturday with a free, family-friendly event featuring refreshments, entertainment, and fun activities for kids. 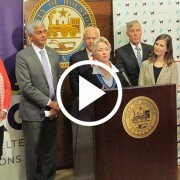 Mayor Annise Parker, City Council Members Robert Gallegos and Oliver Pennington, and Mayor Pro-Tem Ed Gonzalez will say a few words, and ASPCA President and CEO Matthew Bershadker will announce a major gift for the clinic. In 2014 we started a weekly Facebook post series called #MillennialMonday, from the point of view of BTC’s account executive and token millennial, Allison Baron (me). 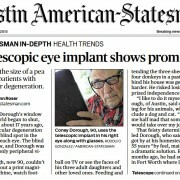 CentraSight telescope implant for advanced macular degeneration makes front-page news. 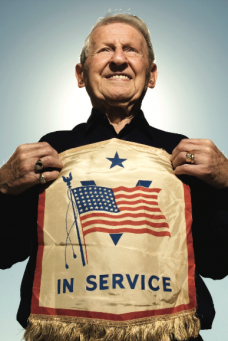 Device the size of a pea assists patients with macular degeneration. http://www.brendathompson.com/wp/wp-content/uploads/2015/04/telescopic-eye-implant-photo.jpg 578 836 Brenda Thompson http://www.brendathompson.com/wp/wp-content/uploads/2015/04/brenda-thompson-communications-logo21.png Brenda Thompson2015-04-18 22:20:522015-04-29 13:59:51CentraSight telescope implant for advanced macular degeneration makes front-page news. 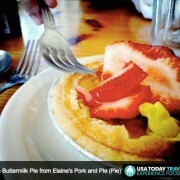 USA Today Travel named the Bourbon Buttermilk Pie at Elaine’s Pork and Pie one of the 30 must-try dishes in Austin. Adventurous foodies aren’t just looking for a restaurant recommendation or a great bakery, they want to know exactly what to order where for a taste sensation unique to the place they’re visiting. http://www.brendathompson.com/wp/wp-content/uploads/2015/04/elaines-buttermilk-pie.jpg 374 497 Brenda Thompson http://www.brendathompson.com/wp/wp-content/uploads/2015/04/brenda-thompson-communications-logo21.png Brenda Thompson2015-04-02 13:47:042015-04-29 13:58:56USA Today Travel named the Bourbon Buttermilk Pie at Elaine’s Pork and Pie one of the 30 must-try dishes in Austin. Emancipet is expanding to Houston, its first location outside Central Texas, thanks to a new partnership with the City of Houston. http://www.brendathompson.com/wp/wp-content/uploads/2015/04/emancipet-blog-photo.jpg 488 800 Brenda Thompson http://www.brendathompson.com/wp/wp-content/uploads/2015/04/brenda-thompson-communications-logo21.png Brenda Thompson2015-03-04 13:56:182015-04-29 13:57:58Emancipet is expanding to Houston, its first location outside Central Texas, thanks to a new partnership with the City of Houston.